Aloha, and welcome to Classic Cruisers of Maui - home to some of the finest classic car rentals on our beautiful island. Whether you are looking for a special car to make your wedding more memorable, planning to celebrate a special occasion, or just seeking a great car to cruise and view the island, our cars will provide you with a unique experience that you won’t forget! Our cars are "one of a kind" classics that will put you right into the tropical lifestyle of Maui. These are not just old sets of wheels. Our cars are well-maintained frame-off restorations. Our meticulous standards will ensure you hours of cruising enjoyment. So go ahead and re-live your past, or celebrate the future in one of our Classic Cruisers. Looking for a luxury holiday vacation condo rental by owner in Maui Hawaii? Try Maui's sunny side where the perfect Maui condo and Maui vacation rental apartments await your arrival. Our select, luxury, vacation resort condominium properties in Wailea, Makena, Ma'alaea and Kihei are perfect for honeymoons, family vacations or a golf or ocean front holiday retreat. Enjoy more space and privacy at less cost than a hotel. Your own private paradise awaits. Luxury accommodations, extraordinary amenities and distinctive personal concierge services provide the perfect Maui vacation. Our exclusive collection of premium properties include beachfront estates, secluded retreats, romantic getaways and resort villas. Named the "Recommended Villa Rental Agent for Hawaii" by Condé Nast Traveler Magazine and "One of the Premier Agencies for Hawaiian Villas" by Travel+Leisure Magazine with residences throughout South and West Maui. Tropical Villa Vacations. for those 60 and over! for those 12 and under! 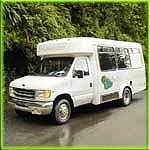 Tour in style in our luxury Comfort Cruisers as you travel the famous winding road to Hana. Sit higher than rental cars in our comfortable, extra-wide reclining chairs next to oversized windows. Professional guides enlighten you with the rich Hawaiian culture and history as you enjoy complimentary ice-cold beverages and photograph the beautiful scenery. Limited tour sizes ensure maximum service and comfort. Customized charters and private tours available.